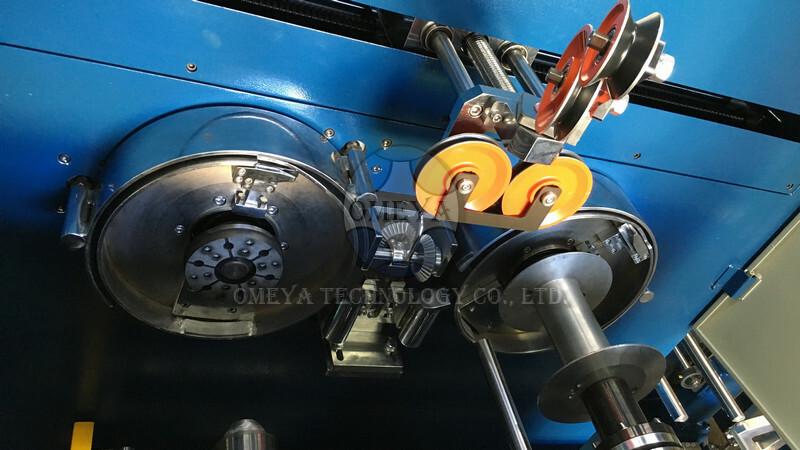 For the take-up process of wires and cables, OMEYA Technology offers the driven type take-up. 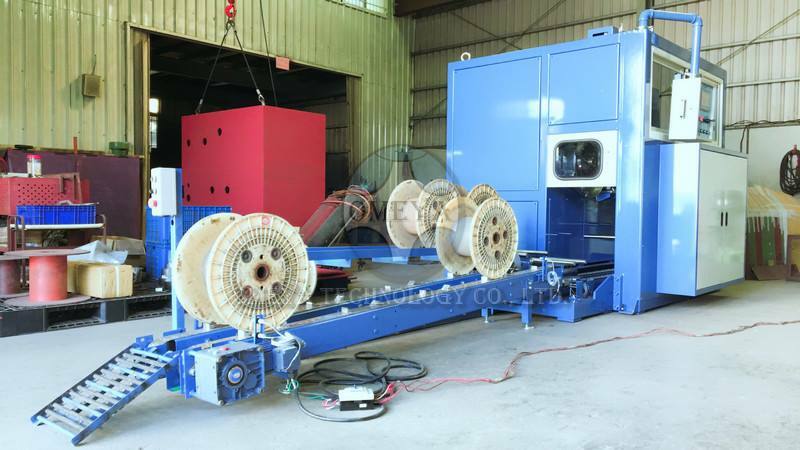 The take-up can work with drawing machine, annealing machine or extrusion line. 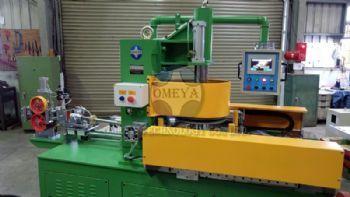 The procedure of spool load/unload, fix/unfix are fully automatic. Furthermore, The changeover function is automatically triggered on and run smoothly once the setting length is reached. 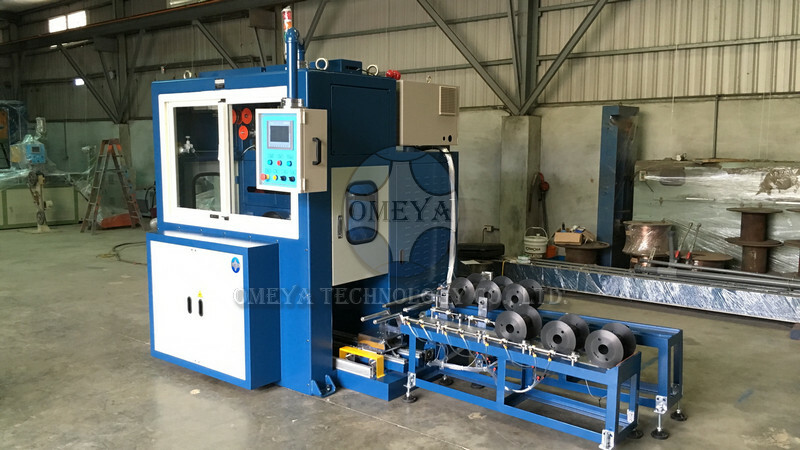 Automatic changeover makes production process be a non-stop production. According to the speed detector installed at the dancer, the changeover timing and motions are controlled by the PLC. 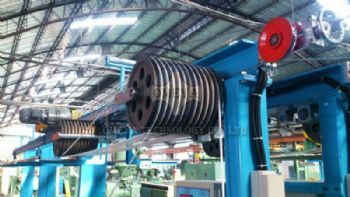 By utilizing hydraulic cylinders, the spool is moved in and moved out automatically. 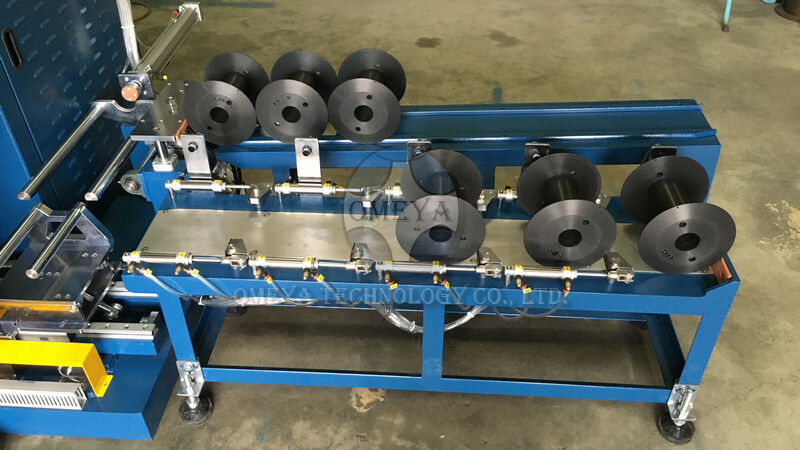 We design the control system with PLC + HMI for the setting of traverse pitch and speed detection so that the whole system work with the line speed in synchronization.